We are here to help so call 1.833.RICHTER if you have questions or to schedule an appointment. One of our friendly team members will be happy to assist you. 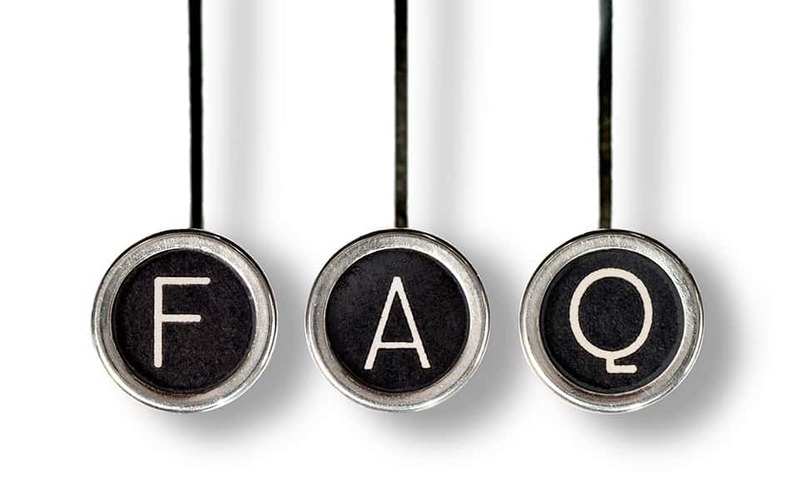 Or find the answers to the some of the most common questions our dental office in Merrillville, IN receives from patients just like you. What can you do to improve the appearance of my smile? We start by evaluating your oral health, existing smile, and discussing your idea of a spectacular smile. Depending on your needs, we may suggest porcelain veneers, replacement teeth, or replacing metal dental work with esthetic restorations. Or, your smile may benefit from some artistic bonding and reshaping or teeth whitening. Maybe Invisalign clear braces will give you the straight smile you are looking for. Call to schedule a cosmetic consultation, and together, we'll determine the best road to your ideal smile. Those with good oral health visit the dentist for a checkup and professional dental cleaning every six months. In some cases, more frequent checkups and cleanings are necessary. We will schedule your next visit before you leave your appointment, so you’ll know exactly when to come back. Six months is a long time, so we’ll also contact you by text, email, or phone to remind you about your visit prior to the appointment. 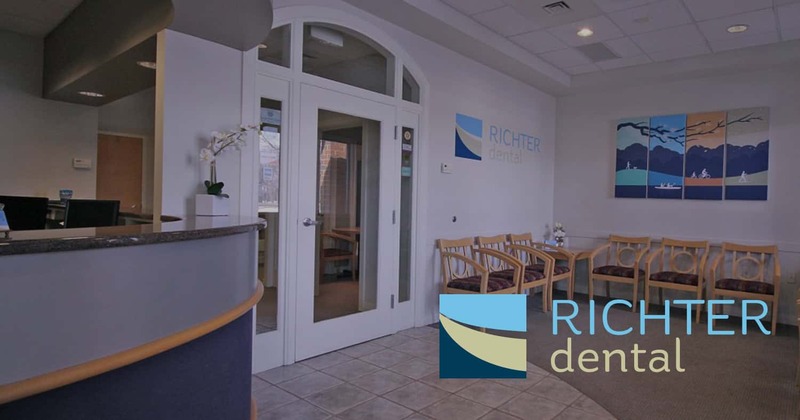 Your first step is to call us and schedule a consultation with Dr. Richter. He can assess your oral health and discuss options for replacement teeth. In general, options include crown and bridgework, dental implants, or partial or full dentures. We will discuss the most long-lasting, comfortable, natural-looking choice for you. Bleeding is usually a sign of a problem. When gums bleed, the cause usually stems from the patient brushing too hard or from early-stage gum disease, called gingivitis. We can consult with you on the proper toothbrush and pressure for safe, effective daily oral care. If your gums show signs of gum disease, we may recommend a deep hygiene treatment to stop the disease and return your gums to good health. Gum disease is the leading cause of tooth loss for American adults, and it has been linked to many overall health conditions, including stroke, heart attack, and respiratory problems. So call for an assessment now. We will help you keep your teeth and gums healthy for life! How is professional dentist whitening different from over-the-counter whitening? Over-the-counter whitening is not bad. However, dentist-administered whitening systems are more precise. We create custom mouth trays to hold a prescription-strength bleaching gel closely against teeth and to keep out saliva. These reusable trays will go home with you, so you can touch up your smile whenever it needs a boost. If you run out of whitening gel, call us to order a refill. Do you accept new patients or referrals? Yes, and thank you for your confidence. We appreciate you and your referrals, and will extend the same comprehensive, caring service to you, your friends and coworkers.